The government of Montenegro yesterday passed the Decision on the criteria, method, and procedure of the Montenegro Citizenship by Investment Program. 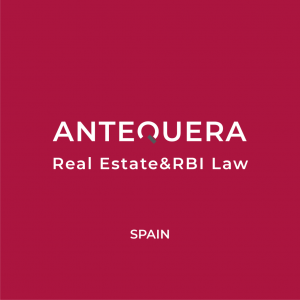 In a press release, the Deputy Prime Minister clarified the requirements for developers of CBI- qualifying real estate, revealed details about discussions with the EU, and indicated he was not opposed to publishing applicants’ names. The press release is reprinted in full below our highlighted key points. EU raised concerns but consented to program. Requirements for CBI-real estate projects in the tourism sector differ according to geographical area: In developed regions, hotels must be 5-star, have at least 60 rooms, employ at least 80, and represent at least a EUR 15M investment; in less developed regions, the respective figures are 4-star, 35 rooms, 25 employees, and EUR 5M investment. At today’s session, the Government of Montenegro passed the Decision on the criteria, method and procedure for the selection of persons who can acquire Montenegrin citizenship by admission for the implementation of investment programme of special importance for economic interest of Montenegro, as a development mechanism for creating new jobs and raising living standards of the citizens. 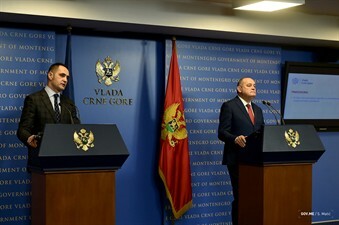 “The Government’s decision was made with a view to further accelerating the economic development of Montenegro and attracting investments that will create new tourism, agricultural and processing capacities, and new jobs, and improve the quality of life and the living standard of our citizens,” Deputy Prime Minister Milutin Simovic told a press conference following the Cabinet session. 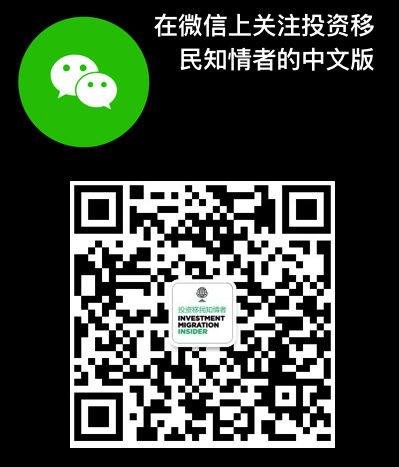 The Deputy Prime Minister noted that the citizenship by investment has long been recognised in many highly developed countries of the world as an important mechanism for supporting the overall policy of attracting foreign direct investment and creating a competitive investment framework on a very demanding global market. “The Decision will intensify the implementation of development projects and enable faster development of less developed municipalities. This programme represents an answer to the real needs of our economy and the need for its diversification. Therefore, the special quality of this Decision is creating opportunities for the implementation of development projects in several sectors – tourism, agriculture and processing industry. Furthermore, this Decision is an expression of the Government’s commitment to implementing development projects in the whole area of Montenegro, both in the north and the south,” Deputy Prime Minister Milutin Simović explained. 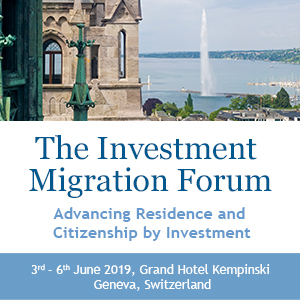 In his words, this economic citizenship programme and this Decision once again confirms that the Government is ready to create demanding programmes in line with the competitive global investment market. “By attaining these goals, besides our key domestic need – dynamic economic development, we are also fulfilling the demanding economic criteria from our European agenda. Our domestic needs are best reflected by the fact that Montenegro at this time is at the level of 46% of the average EU development. We must improve the living standards of our citizens as quickly as possible and bring them closer to the level of the European standard. 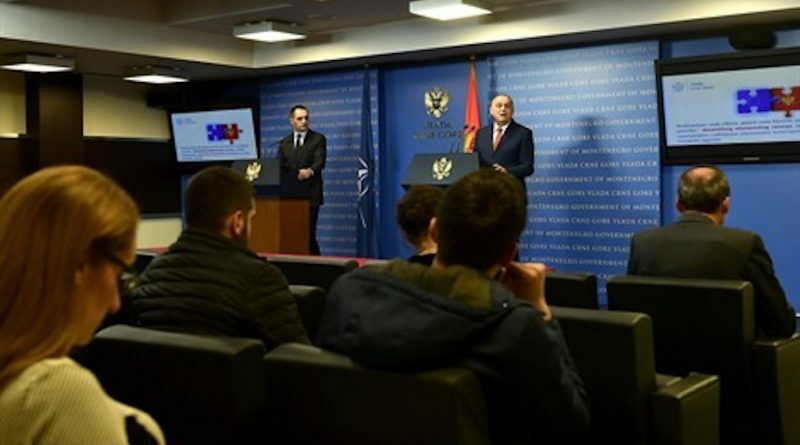 Therefore, we must not waste time by postponing decisions, which are useful and necessary and which create conditions for a better life of the citizens of Montenegro, especially those in less developed areas,” the Deputy Prime Minister of Montenegro underscored. Speaking about the process of drafting the Decision, DPM Simović said that the Government has established a sincere and open dialogue with the European partners. “There were also certain doubts, additional inquiries about whether we are prepared to carry out such a demanding project in the right way – as did the EU member states that have similar programmes, not jeopardising our European path and achieving the goals of the Union. In the end, we understood the position of our EU partners that Montenegro should use its exclusive rights to grant citizenship, in the spirit of sincere cooperation and to refrain from any measure that could jeopardise the Union’s goals. That is precisely our intention! 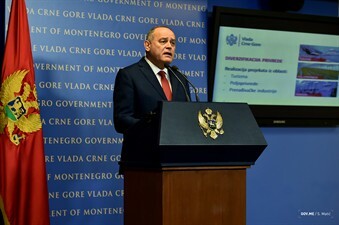 Such a concept of the Decision and the defined programme implementation are the expressions of the Government’s sincere cooperation, intentions and responsibilities, as well as complete restraint from any measure that could jeopardise further integration path of Montenegro and the goals of the European Union itself,” said Deputy Prime Minister Milutin Simović. Minister of Sustainable Development and Tourism Pavle Radulović explained the criteria for selecting development projects and the conditions that should be fulfilled by the applicants, as well as the procedure. 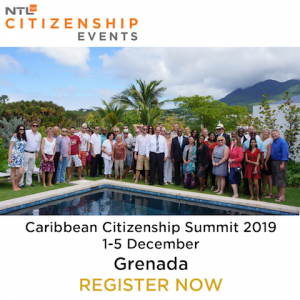 “The programme is designed to last for a limited period of time, and is limited to the granting of the Montenegrin citizenship to up to 2,000 applicants. The money collected in this way will be used exclusively for development. The procedure provides for the greatest possible transparency,” Minister Radulović explained. He noted that the State of Montenegro will be using the highest criteria for selecting special mediation agents who will be checking the international suitability of the applicant and will issue them annual licenses. The applicants will submit requests through an agent who had previously signed a contract with the State of Montenegro. Speaking about the criteria for projects to be implemented in the field of tourism, Minister Radulović said that it about hotels or mixed tourist complexes in the coastal region and the Capital city of Podgorica: at least 5-star facilities, at least 60 accommodation units, with minimum investments of 15,000,000 Euro and at least 80 new employees. For projects in northern and central region, except the Capital City, the criteria are as follows: at least a 4-star hotel or a mixed tourist complex, at least 35 accommodation units, a minimum investment of five million euros and at least 25 new employees. Applicants must pay EUR 450,000 to the account of the State of Montenegro for the projects in the coastal region and Podgorica, or 250,000 euros in northern and central region except Podgorica, as well as 100,000 euros intended for less developed areas. In addition, the applicant must deposit 15,000 euros for an application for themselves, 10,000 euros for up to 4 family members, and 50,000 euros for each next family member, the Minister of Sustainable Development and Tourism concluded. Answering a journalist’s question, Minister Radulović said that he does not see any reason why the names of investors who have exercised their right to the Montenegrin citizenship are not available to the public.